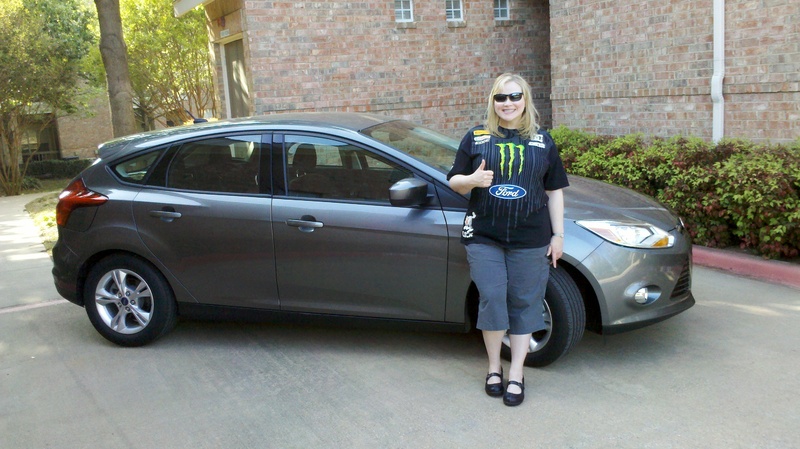 When Team Hall & Nass was given the opportunity to drive the all new 2012 Ford Focus for a week by our friends at the Ford Motor Company, we jumped at the chance! While small cars are not typically our forte, we have actually been anticipating the arrival of the Focus for many months. For us, this opportunity has been a long time in the making. Our fascination with the new Focus actually began in the Fall of 2009 with the Ford Fiesta Euro-Spec Hatchback model our good friends at Burnout Radio let us drive as part of Ford’s Fiesta Movement marketing program. We were blown away at how impressive the Euro-Spec Fiesta was for the price. It was well built for a compact car, handled like a shifter cart, got incredible gas mileage, and was even stable on the road up into low triple digit speeds. More than anything, we couldn’t get over how surprisingly fun the Fiesta was to drive. To say we were impressed would be a massive understatement! Shortly afterward, Ford signed rally driver Ken Block to drive a Ford Fiesta in Rally America and a Euro-Spec Ford Focus in the WRC for the 2010 season. As rally racers ourselves (albeit a slightly different style), that really impressed us. Then, Ford allowed us early driving access to a handful of US-spec Fiestas one afternoon in both hatchback and sedan form. The fit, finish and handling on the US versions were as well executed as the Euro-Spec Fiesta has been. Last, but not least, when Ford debuted their plans for the upcoming 2012 Focus ST for the US market at SEMA 2010, we decided if the new Focus was anything even close to the Fiesta, we just had to get behind the wheel of one. Before we launch into our impressions of the 2012 Focus, we’d like to point out that this review also happens to be monumental for another reason. 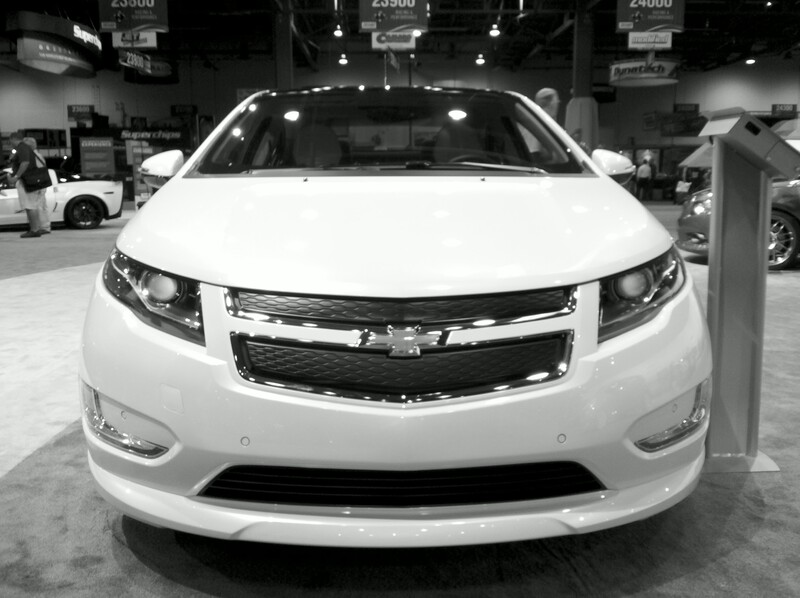 It is the first automotive review being prepared for our newly launched Motorama LIVE site. It will also be the first official car review we share with our audience live on our Wednesday night #Motorama LIVE enthusiast discussion on Twitter. So while this is technically a Team Hall & Nass review, it is also being conducted with our Motorama LIVE audience in mind. If you’re confused by any of this, visit both the TeamHallnNass.com site as well as the MotoramaLIVE.com site for more information on what both entities are all about. Be sure to check out our 2012 Ford Focus video (coming soon) on our Team Hall & Nass YouTube channel YouTube.com/TeamHallnNass. Yes, a bit of hoonage of the Focus does ensue! The all new 2012 Ford Focus comes in four different trim levels – S, SE, SEL and Titanium, and comes in two distinct body styles – hatchback and sedan. All Focus models are four door cars and all come with a 2.0 liter four cylinder engine that generates 160 horsepower and 146 foot pounds of torque. All models also offer a choice of five speed manual transmission or six speed dual clutch transmission (which many will call an automatic, but technically, it’s not). Of course, most option packages can be added to various trim level cars, though the Titanium edition comes with all the goodies, and best of all, 18” wheels with optional Michelin Pilot Sport tires to further enhance the sport tuned suspension’s grip. 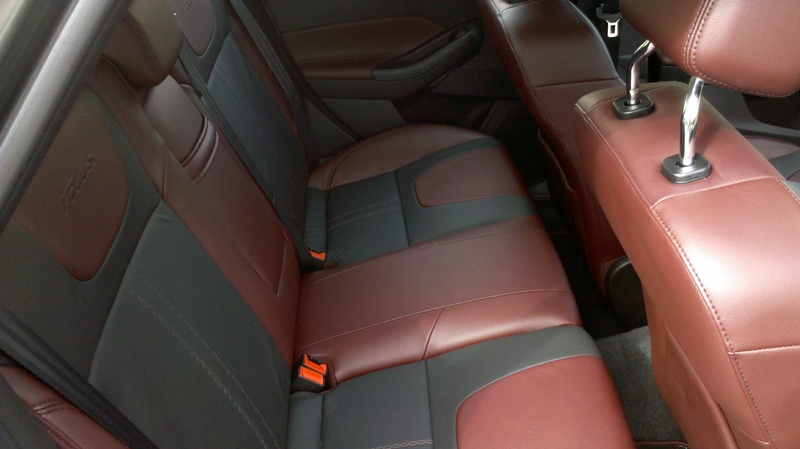 The car Ford delivered to the Team Hall & Nass garage was a 2012 Focus SE Hatchback with a five speed manual transmission, in Sterling Grey Metallic with Tuscany Red Leather trim (MSPR $18,065). Our Focus was equipped with the Rapid Spec 203A package ($1,385), but most important to us was the SE Sport Package ($1,130), which gave us the sport tuned suspension with rear disc brakes, and the Interior Style Package ($795) which provided the impressive two tone leather interior with two tone accents. With discounts for the SE Sport Package (-$235) and Rapid Spec 203A (-$190), and a destination delivery fee ($725), total MSRP on our Focus was $21,675. Of course, we were secretly hoping for a Titanium edition for maximum performance and style, and to try out the new Ford MyTouch system in conjunction with the Ford Sync, but honestly, we were just thrilled to get our hands on any 2012 Focus, especially this early in the media rotation. Thank you Ford! The 2012 Ford Focus is a game changer. It’s a rare car that, unless you’ve driven the new Fiesta, can quite literally sneak up on you when you least expect it. Even if you have driven the new Fiesta, the Focus may still surprise you as they’ve stepped everything up a notch. The more time you spend inside of one, the more you begin to understand just how significant a hand the Focus will likely play in shifting today’s automotive landscape. In short, the Focus could actually cause a paradigm shift in how you view small cars. From the edgy exterior styling and well executed interior layout, to the impressive handling, ride quality, fuel efficiency and overall build quality, it’s hard to find fault with the all new 2012 Focus. We’d really have to nitpick to come up with things that aren’t laid out or executed in a way we’d like them to be. In fact, there are so few, let’s just go ahead and get them out of the way. The interior is very well laid out, save for a few items. 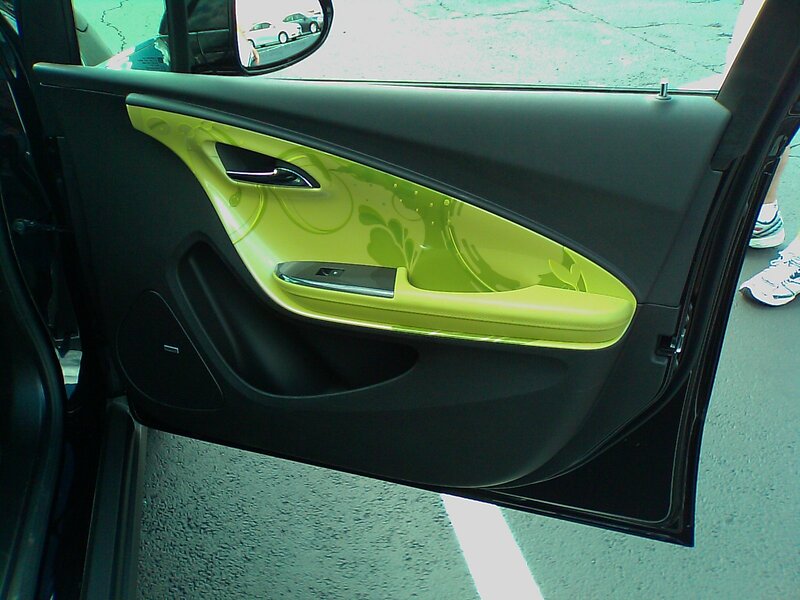 The power windows (except for the drivers’ window) are not express one-touch down. None of the four windows have express one-touch up, either. In an interior that is so well done, it’s an inexpensive convenience option that is glaringly absent. Granted, one-touch express windows may be an option on the SEL or Titanium models, but we’ve not seen it listed anywhere on Ford.com. 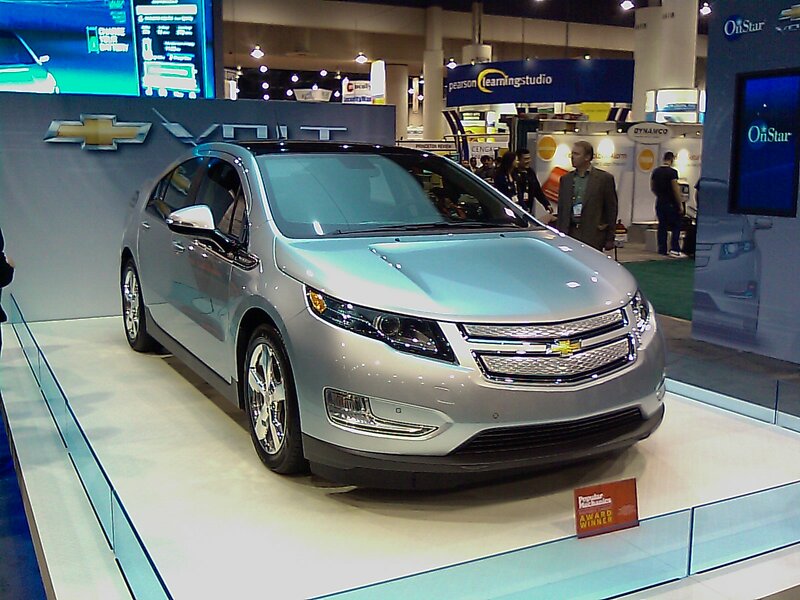 We believe they would likely be present in every model if they were available. We’ll report back on this issue when we test the Titanium model, coming up soon. 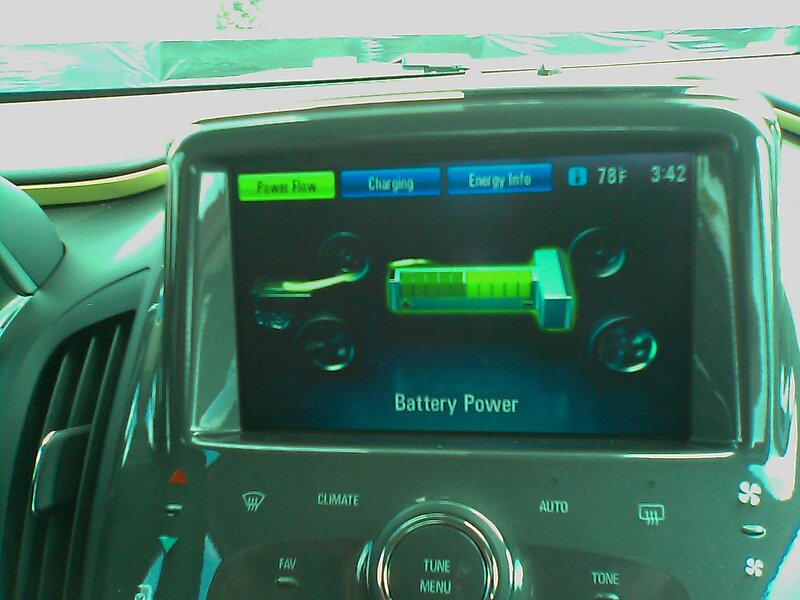 Also in the interior, there are two 12 volt power outlets, but neither is located anywhere near the dashboard. If you wish to use a radar detector (which is the first thing Team Hall & Nass adds to every car we drive) or a GPS unit, you’ll unfortunately be routing those cords all the way back to the center of the car underneath the center armrest and/or to the rear of the center console. 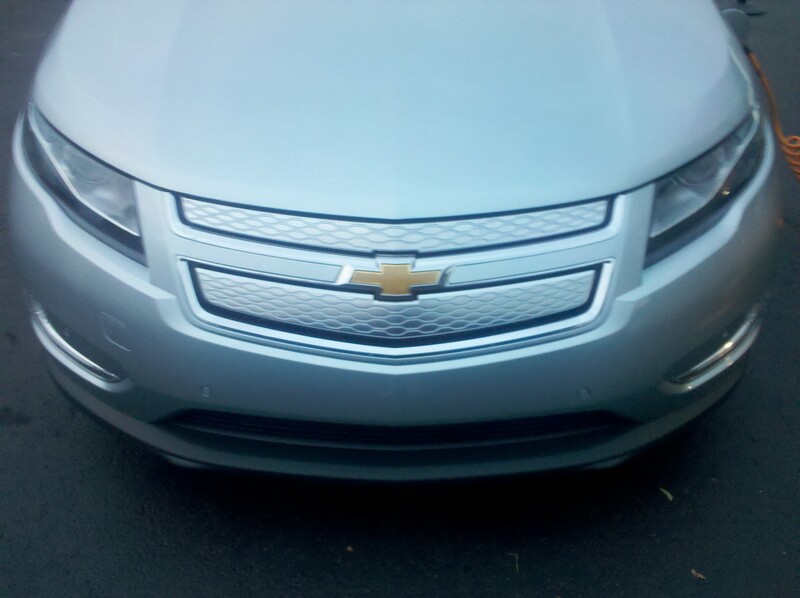 Because of this, cord routing directly interferes with the shifter. In a manual car, this is a considerable inconvenience, if not a potential safety issue. It would have been easy to just place one (or both) of the power outlets somewhere in the center stack, or up on top of the dash like the previous Mustang did. Just a thought. While we enjoyed the enhanced visibility of the fog lights and the automatic headlight setting, there is no way to tie the fog lights into the automatic headlight actuator. Thus, you have to manually turn on the fog lights whether the headlights are set to automatic, or not. It would be nice if they were able to activate automatically with the headlights every time. So express one-touch windows, misplaced power outlets and manual fog light switching aside (we said it was nitpicking), the interior of the 2012 Ford Focus is nothing short of jaw dropping, especially in the small car segment. The center stack is well laid out for when you do wish to interact with the buttons, knobs and switches from either the driver or front passenger seats, the Sync display and menu is pretty straightforward, and the HVAC does a great job of heating and cooling. The center armrest is in a comfortable position. The console is deep and houses both a ‘line in’ and USB jack. In short, Ford nailed it. 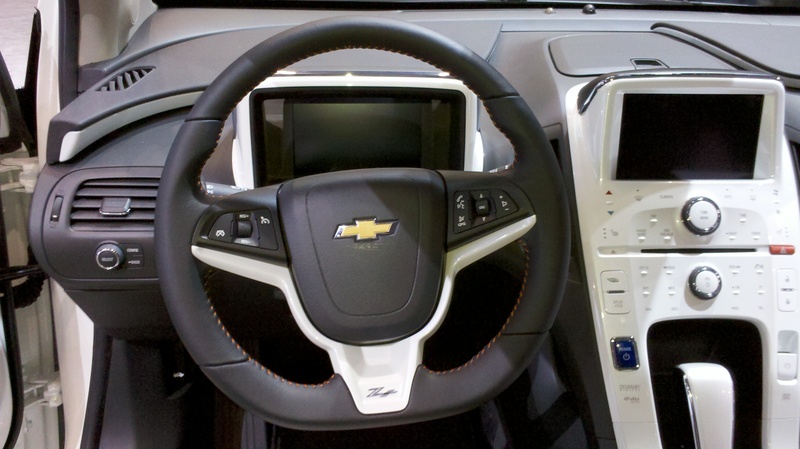 Speaking of the steering wheel, it is nothing short of a total command center. You can control the front and rear wipers, cruise control, stereo functions, and the Ford Sync with an easy flick of your fingers while never having to remove your hands from the steering wheel. The driver information menu screen in the dash cluster is easy to see, and even easier to navigate, thanks to one of two four way toggles and center actuator ‘OK’ buttons on the steering wheel spokes. 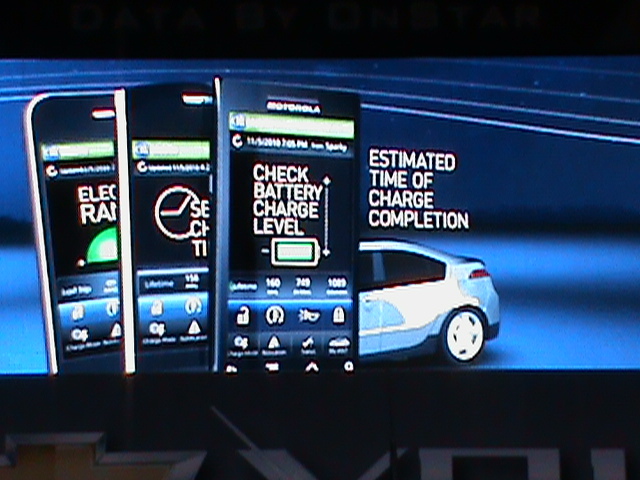 The toggle on the left allows easy access off the information center, and the toggle on the right is for the Sync menu. 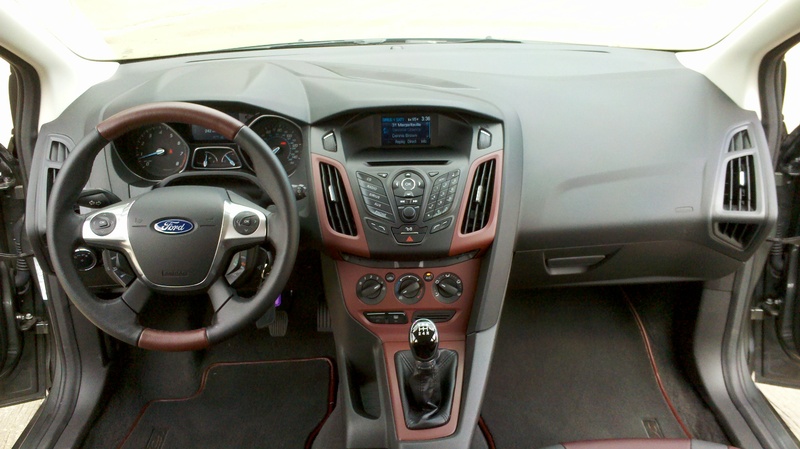 (As an aside, the right toggle works with the Ford MyTouch system in the Titanium model. We’ll have more on that when we test the Titanium Focus.) Even the voice activation and telephone send and end call functions are easy to do without removing your hands from the wheel. 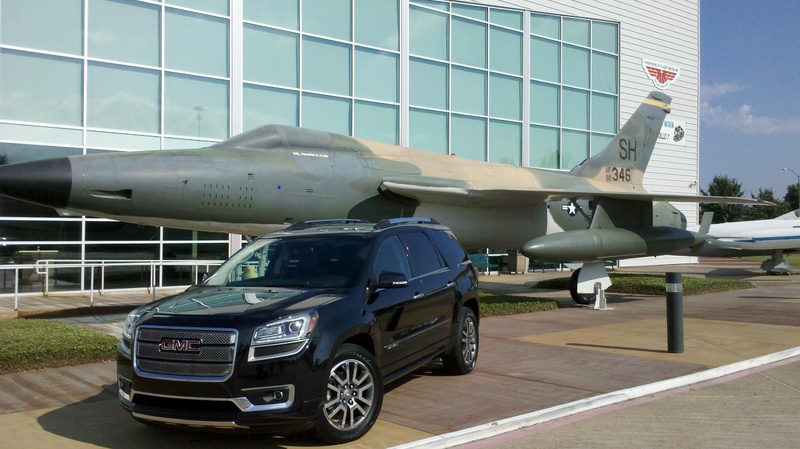 From a safety and convenience standpoint, it is all very impressive. More to the point, it is NOT what you expect to find in a car that is this inexpensive, no matter what the brand or mark. This is yet another area where this new Ford Focus really shines. 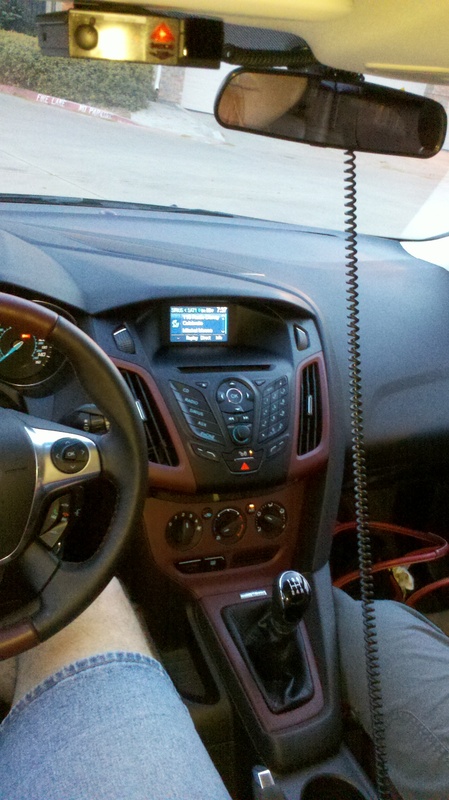 The Ford Sync system was both wonderful and a bit frustrating. True to its name, it was ridiculously easy to ‘sync’ our Motorola Droid telephones to the system. What was frustrating was the voice-activated calling feature. If I tried to call ‘Charlie’ I was suddenly connected to ‘Holly’. A call to ‘Jennifer’ was somehow connected to ‘Information’. I suspect the Sync may have been struggling with my Southern accent, but then again, if you’re going to sell Sync in Texas, you’ve got to have a fiddle in the band. Repeated wrong number dialing aside, answering incoming calls was a breeze! 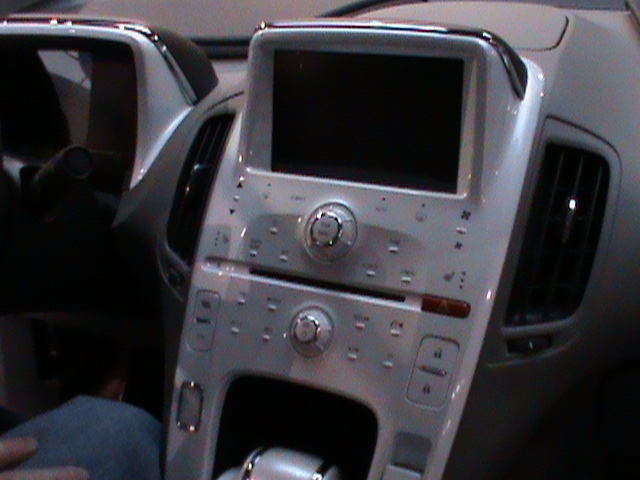 The hands free system through the car audio system was clear on both ends of many calls. It came in quite handy, especially driving a manual shift car, where there is no such thing as a free hand to hold the phone. All the technology and information access in the world is only as good as how it helps you while actually driving a car. Again, Ford is keeping you safe by keeping your hands where they belong – on the wheel. We were looking forward to trying out the many cool features of the Ford MyTouch system that we first learned about at CES in 2010, but alas, our Focus SE was not equipped with Ford’s latest infotainment center. But when you realize that Sync comes standard on every Focus, and that MyTouch is even an option on a $20k car, you have to be impressed that Ford is making such technology available at an economy class price. We activated the Ford MyKey system to scroll through and test some of the options. MyKey is essentially an electronic nanny for your car when others are in control of it. It seems like a great system if you want to limit the capabilities of many vehicle functions for valets and/or teenage drivers. You can disable the ability to turn off traction control, limit the max speed of the car to 80 MPH, disable certain Sirius satellite radio content, etc. However, there is one small, but highly annoying safety feature that once activated, we couldn’t disable since we did not have the second (administrator) key to the car. With Ford MyKey active, you MUST fasten your seat belt if the car is running to play the radio or use the Sync system. Period. Now, we always drive with our seatbelts on. We also wholeheartedly agree that if you’re in gear or the car is in motion, you should absolutely be belted in. Everyone should always buckle up before driving. Safety first! However, if you happen to enjoy playing with the many radio or Sync features while parked on a hot day, which requires the car to be on to use the air conditioning, but wish to have the freedom to move around inside of said car while playing with its many options, good luck. The screen will just flash incessantly until you buckle the seatbelt. But it gets even more interesting. The second the system senses weight on any of the other seats, even if the driver belt is fastened, off goes the radio and Sync, and up pops the incessant flashing screen. It’s enough to practically trigger seizures in those prone to the strobe light effect. So while Ford MyKey may be a great thing for some, we wish we had never turned it on without having the second key to then disable it. Thank goodness we didn’t try out the speed limiter! Even with the few little nitpicks that we managed to uncover after spending hours inside of the Focus, you simply won’t find a nicer quality interior or exterior in any car built for this price point. 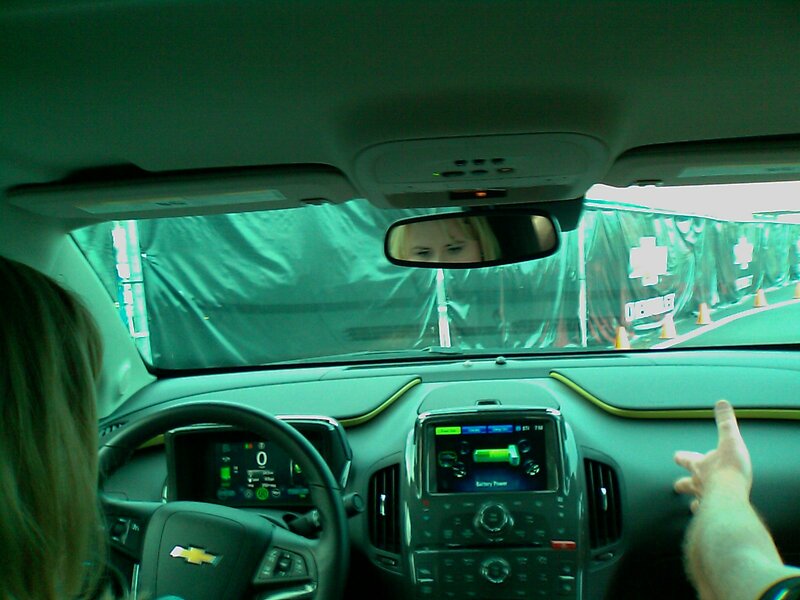 And we haven’t even gotten to the best part yet – the Focus driving experience. Let the real fun begin! There are two ways to drive the all new 2012 Ford Focus. There is the “how much fuel economy I can possibly achieve” game, and then there is the one you’ll likely find yourself playing more often, which is the Ken Block inspired “HOONIGAN” game. You can guess which one we spent most of the week playing. HOON ON! 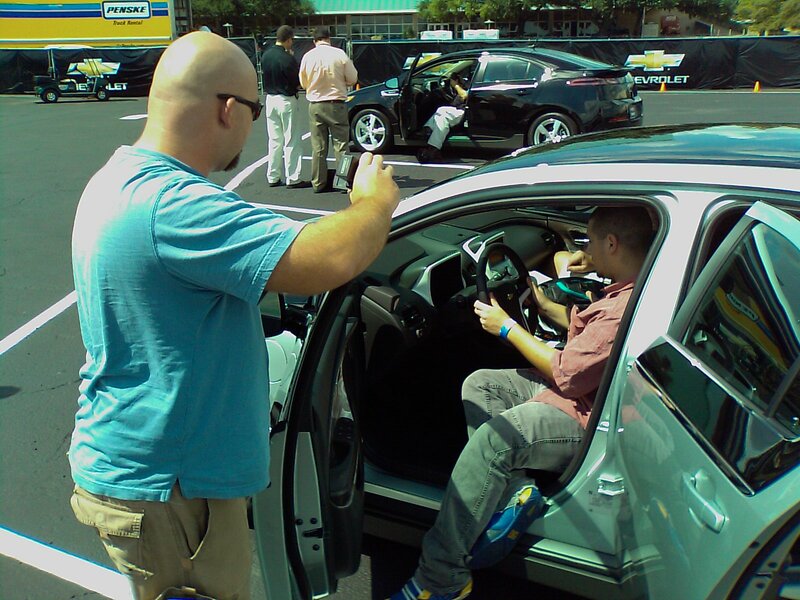 As soon as the Focus was delivered, we jumped right in. We started out babying the throttle to get a clear picture of just how little gas it could consume. By shifting 1/3/5 and lightly using the throttle in uber fuel miser mode, we saw a 33.8 MPG average in the first 10 miles of city-ish driving. That is well beyond the EPA rating of 26 city or 30 “combo” and darn close to the 36 highway rating for the five speed manual. Speaking of which, we were a bit surprised the Focus had a five speed manual gearbox, and not six forward gears (like the DCT has). 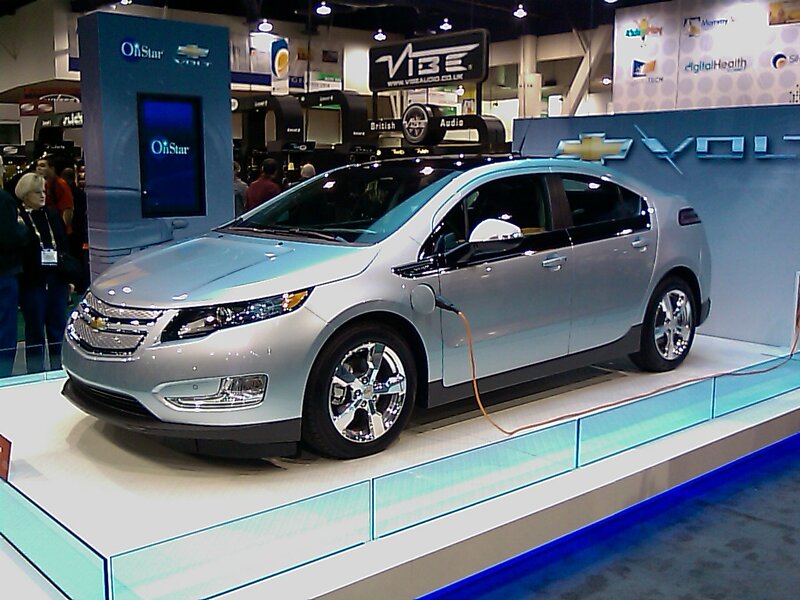 We wondered if that may have a negative effect on the fuel economy we would see. After some research on Ford.com, we discovered the Focus equipped with a DCT is estimated to get 2 miles per gallon better than the five speed. Wow. However, once we determined how well the Focus could sip fuel in uber gas miser driving mode, it was time to get down to the business of why we wanted to drive this car in the first place – to find out if the new Focus is as much fun to drive as the Fiesta. Shift Points – The Ford Focus redlines at 7,000 RPM. The rev limiter comes into play shortly thereafter. What we quickly discovered is that the first four gears have nearly equal shift point increments. 1st is good to 30 MPH, 2nd is good to 60 MPH, and so on. If you try to gain more than 30 MPH in any gear, you will bump up against the rev limiter. However, you can get an honest 30 MPH per gear without encountering the limiter if you’re a quick, hot shoe shifter. When going through the gears at wide open throttle, the horsepower level feels greater than 160, while the torque curve feels relatively flat throughout the range. This translates to the Focus pulling through each gear quickly and crisply, and before you know it, you’re in fifth gear going faster than you may have planned if you’re not watching the speed dial. It is quite spirited! 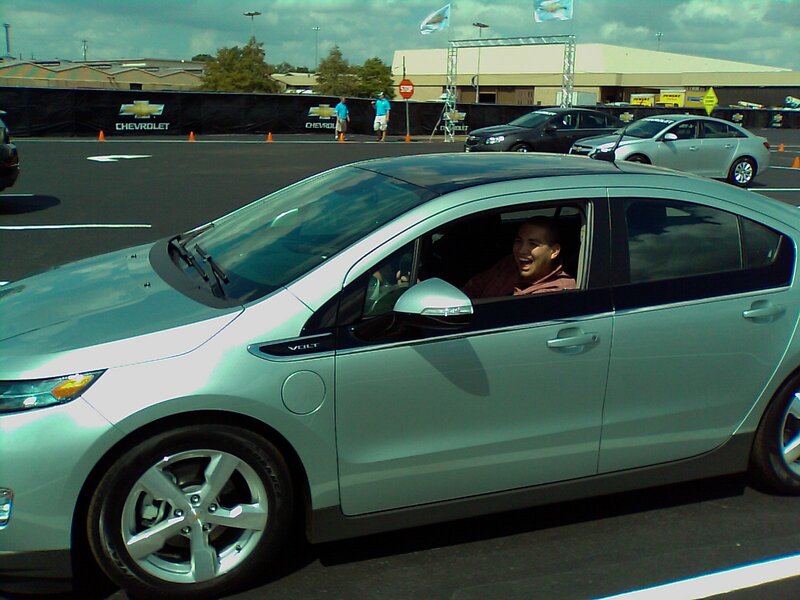 Handling – Our Focus SE had the sport tuned suspension option and was an absolute blast to drive! Our Focus was every bit as much fun to pilot as the Euro-Spec Fiesta we drove in 2009 and the US-Spec Fiestas we drove last year. 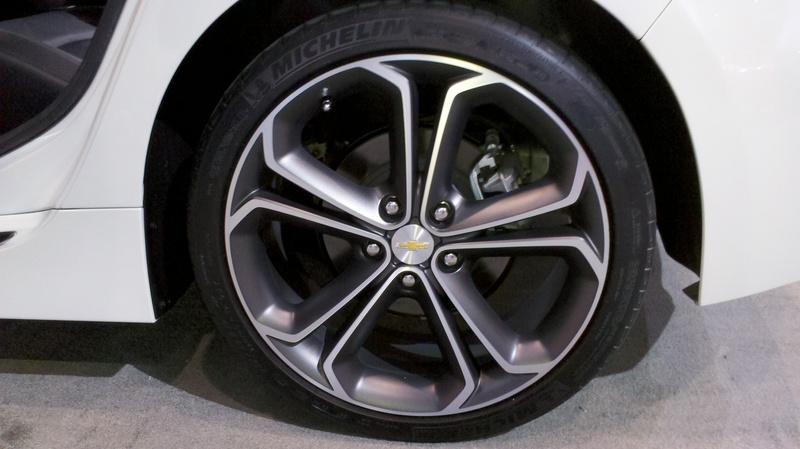 Though keep in mind, our Focus was rolling on 16” Continental Conti-Sport all weather tires, not the 18” Michelin Pilot Sport ZR speed rated tires that are an option on the Titanium edition. The Contis had more grip than we thought they would, and in most situations on the street they were more than adequate, but in slalom testing and closed parking lot hooning, we discovered the limits of these tires fairly quickly. In our humble opinion, the Focus has more suspension under it than it has tires to hold it in line. It would be very interesting to see how grip would differ in all situations on the Pilot Sports. Also, it is significant to note that due to the tires we were running, we did not attempt a closed course top end run. One thing Team Hall & Nass knows a lot about is tire safety in both racing and normal street conditions. You should never overdrive the ratings of the tires, no matter what. We do believe the Focus actually has enough power and aero to potentially stretch its legs deep into 5th gear with the right tires mounted on it. 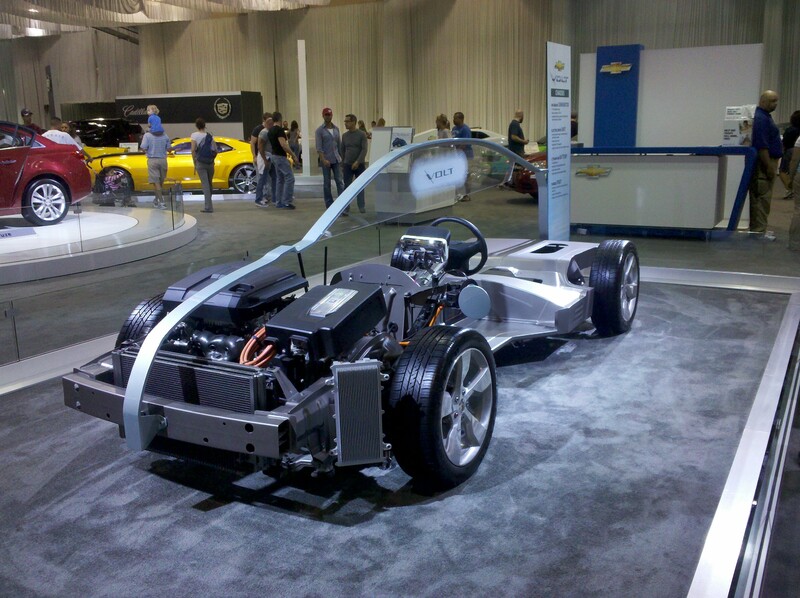 Unfortunately, this just wasn’t the car to test that theory in, so we erred on the side of safety. What’s truly amazing is how well the Focus handled, not just in parking lot hooning, but when driving at speed on the freeway. We did get up into the bottom of 5th gear before we elected to level off and cruise. At that speed, the Focus was smooth and well planted for a small class car. Even with light cross winds, the Focus was fairly solid. By contrast, the Fiesta was well balanced up to a slightly lesser speed, where it began to feel light and wanted more downforce. The additional six inches of wheelbase, and the eleven and one-third inches of additional body length the Focus hatchback has over the Fiesta hatchback enable greater high speed cruising and overall ride smoothness. You could liken the comparison in many ways to the difference in ride between a short and long wheelbase pickup truck. Longer equals smoother. Of course, the Focus would most likely need more downforce for optimal grip and safe cruising to see its full speed potential, but outside of closed course events or driving on the Autobahn, most owners won’t need to be concerned with such things. The larger driving experience question we set out to answer was if the Focus, with its extra length and weight, would be able to handle the twisties without losing any of the sporty fun feel we loved about driving the Fiesta. The answer is a resounding YES! In fact, in the 2012 Focus, you get Fiesta-like handling with the added benefits of 40 more horsepower, 34 more foot pounds of torque, similar fuel economy (1-2 MPG estimated difference), independent rear suspension, additional cabin and cargo space, far more options, a higher level Titanium trim package option, smoother highway ride, higher speed cruising stability, and overall just a slightly better package than what the Fiesta offers. Best of all, pricing between the Focus and the Fiesta is close enough to be competitive without really taking anything away from one another. If you want an economy car, the Fiesta is a great choice. If you need a bit more room, the new 2012 Focus delivers the same level of driving fun without sacrificing the space you or your family need. Of course, you can expect that Team Hall & Nass would like the Focus to have more power, bigger brakes, and more front and rear downforce for higher speed stability. While the 160 horsepower 2.0 liter four cylinder does a good job of propelling the Focus down the road in a spirited way, we are absolutely salivating at the prospect of the upcoming Focus ST with its 2.0 liter sequential turbocharged EcoBoost engine. If it comes anywhere close to the 250 horsepower target that was shared with us recently by Ford, then go ahead and sign us up for one in full rally trim so we can start hooning – NOW! 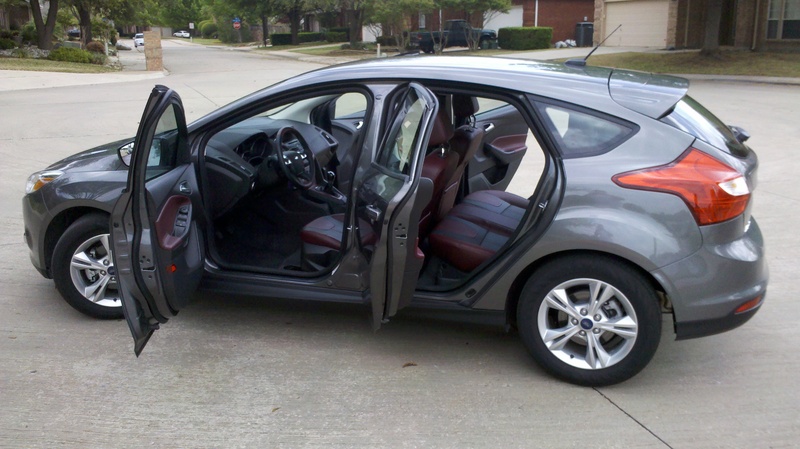 The more time you spend driving a 2012 Ford Focus, the more time you’ll want to spend driving the Focus. Even though past segment products and/or conventional wisdom wouldn’t cause you to think so, we’re telling you a bold new truth. There is something about driving this car that is addicting. Why? Well, it handles better than it should. It goes through the gears quicker than it should. It feels better at higher speeds than it should. 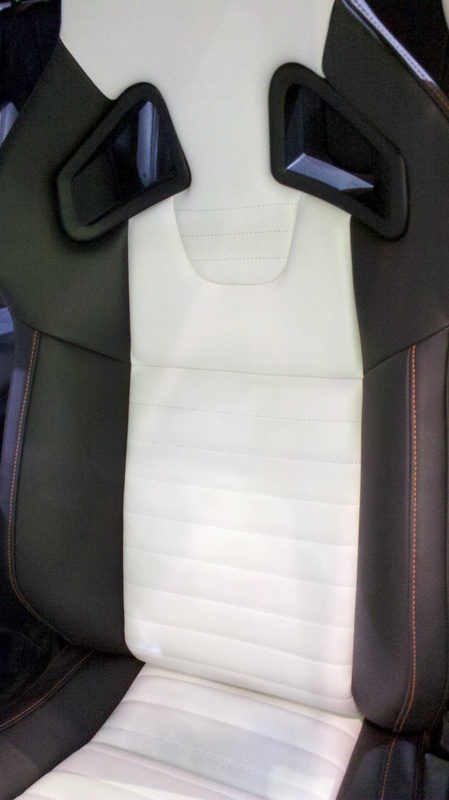 It has a nicer interior than it should. It has more options available than it should. 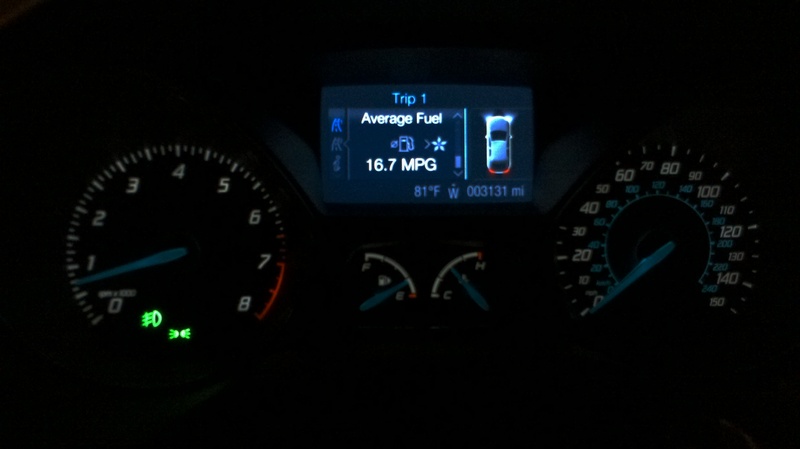 All the while, it is getting better fuel economy than it should. It’s funny to say, but after years of driving poorly built small cars in the US market, this car delivers everything your brain says that it shouldn’t, and more. The only thing you’ll find “cheap” about the new Focus is the price. In the end, you’ll be boggled to discover that it may actually cost a bit less than your brain says it should. Yes, the all new 2012 Ford Focus is just that good. Perhaps the most amazing thing about all of this is that Ford, not Honda, not Toyota, not Nissan, not one of the European marks, but one of the US Big 3 is building true high quality, low priced small cars for the US market. 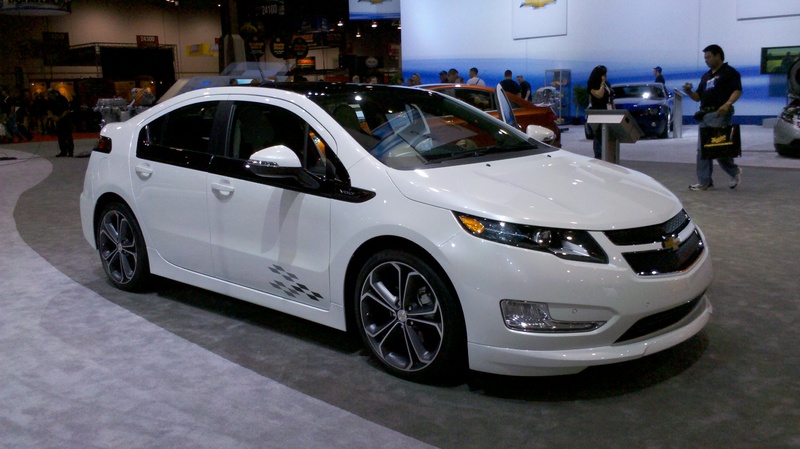 They are loaded with amenities you’d expect to find in cars that cost twice as much, they are fuel efficient, and of most importance to us, they are fun to drive. No one could have predicted this five years ago. 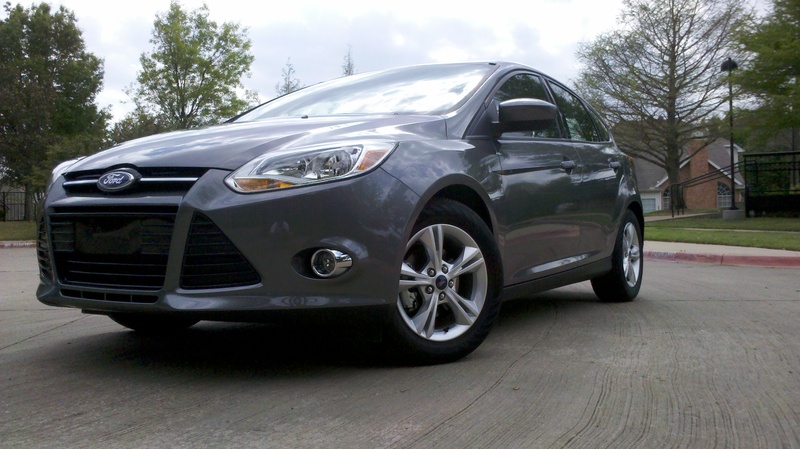 Like we said – the 2012 Ford Focus is a game changer. Paradigm shifted. Be sure to check out our 2012 Ford Focus SE Hatchback video (coming soon) on YouTube.com/TeamHallnNass to see first-hand just how well executed the all new Focus is inside and out and, of course, to witness how much fun it is to drive. The new Focus truly surprised us, and we guarantee it will surprise you. Read, watch, and go drive one! Based on our impressions after one week behind the wheel of the all new Ford Focus SE Hatchback, coupled with those of other enthusiasts, friends and neighbors to whom we showed the car, we’re going to give the all new 2012 Ford Focus a ‘Strong Buy’ rating. We typically like to see a new platform shake out for a year or two before recommending it, but the Focus has so much in common with the already proven Fiesta, we’re going to go all out on this one. 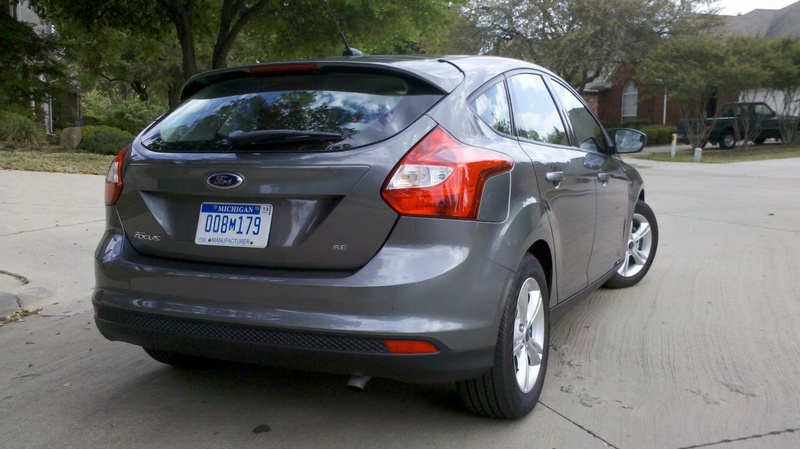 If Ford hit a home run in the small car segment with the 2011 Fiesta, then they hit a grand slam with the 2012 Focus. It’s one of those rare cars that the longer you drive it, the more you want to stay behind the wheel. It is just that well executed. Do yourself a favor and buy the Titanium model if you can, or add the sport suspension and the upgraded interior treatments to an SE or SEL model. No matter which model you chose, the Focus is so much fun for so little money! 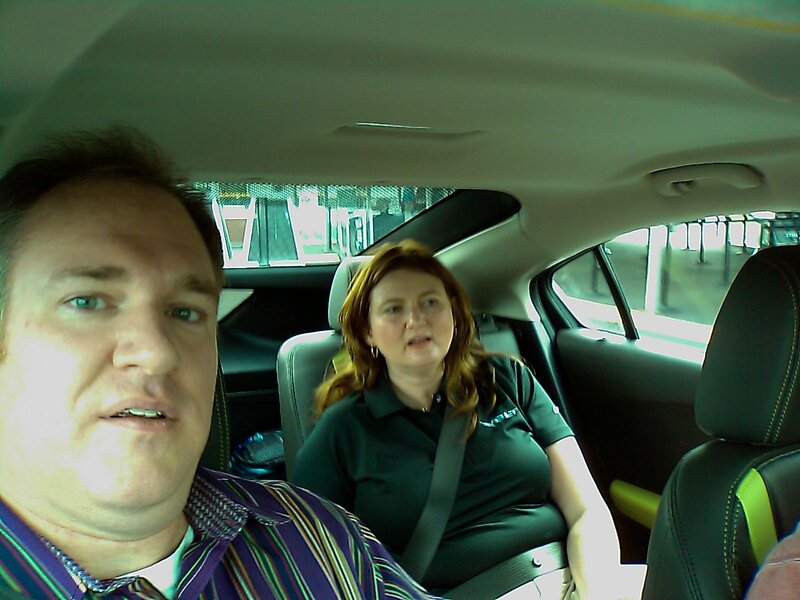 When you visit your Ford dealer to test drive the 2012 Focus, do us a favor and tell them Team Hall & Nass sent you. If you do buy a Focus, please let us know! 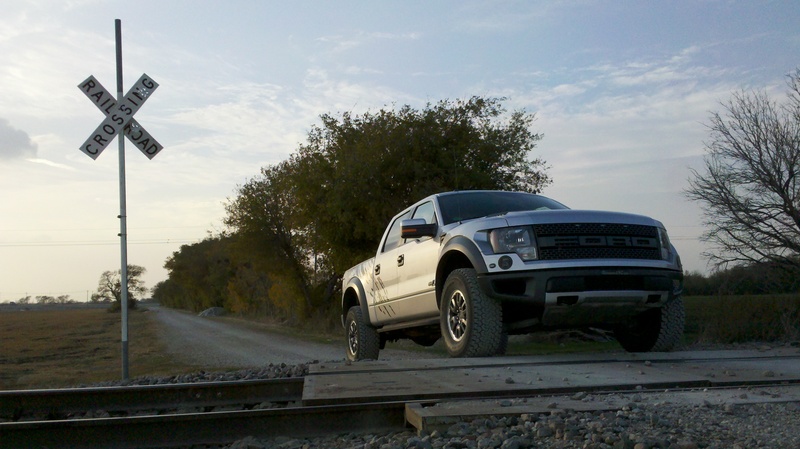 We always love hearing about our fans’ rides, and so does Ford when we tell them about you. In turn, it makes them feel better about giving us cars to review. We all appreciate your support! 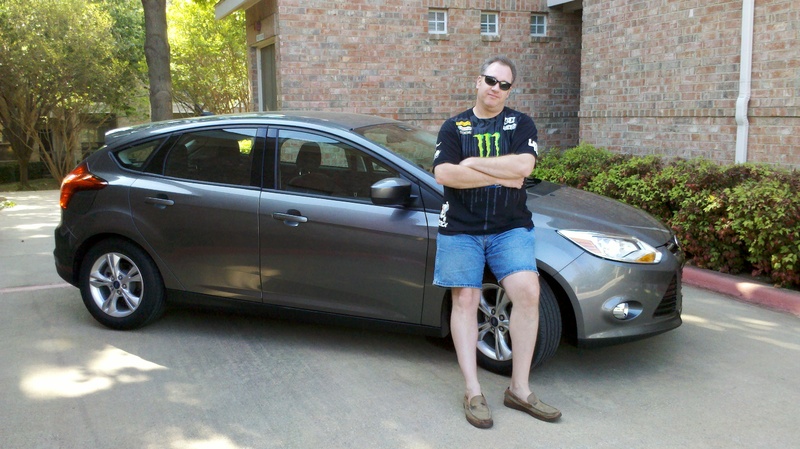 We hope y’all have enjoyed our Team Hall & Nass and Motorama LIVE coverage of the 2012 Ford Focus SE Hatchback. Be sure to check out our 2012 Ford Focus video (coming soon) on our YouTube channel at YouTube.com/TeamHallnNass. Also, be sure to check out our gallery of Ford Focus pictures on the Motorama LIVE Facebook page. If you like our coverage, be sure to ‘Like’ our page. We’d like to publicly thank Becky Chesshir and all of our friends on the Ford South Central Media Communications Team for allowing us to hoon their car. Without their kind, good faith invitation, we wouldn’t be able to bring you, the wonderful fans and followers of Team Hall & Nass and Motorama LIVE, the incredible story of the 2012 Ford Focus SE Hatchback. Stay tuned as we prepare to share our experience of what life is like behind the wheel of the Focus, and other exciting new vehicles on both TeamHallnNass.com and MotoramaLIVE.com! Due to FTC guidelines, please note that Ford did not pay us to write or film any of this, nor did they ask us to. After reading this and/or watching our videos, they may even prefer that we hadn’t! We sincerely thank the Ford Motor Company, and all of you, our amazing fans. We appreciate you all! If you are an automotive enthusiast, or enjoy discussing and learning more about cool cars, automotive trends, auto shows, racing events and anything else that goes on in the automotive world, join us for our wildly popular weekly interactive automotive enthusiast discussion Motorama LIVE, every Wednesday from 9-11 PM Eastern, only on Twitter! Check us out at MotoramaLIVE.com, ‘Like’ Motorama LIVE on Facebook, and of course, follow us on Twitter @MotoramaLIVE Twitter.com/MotoramaLIVE. 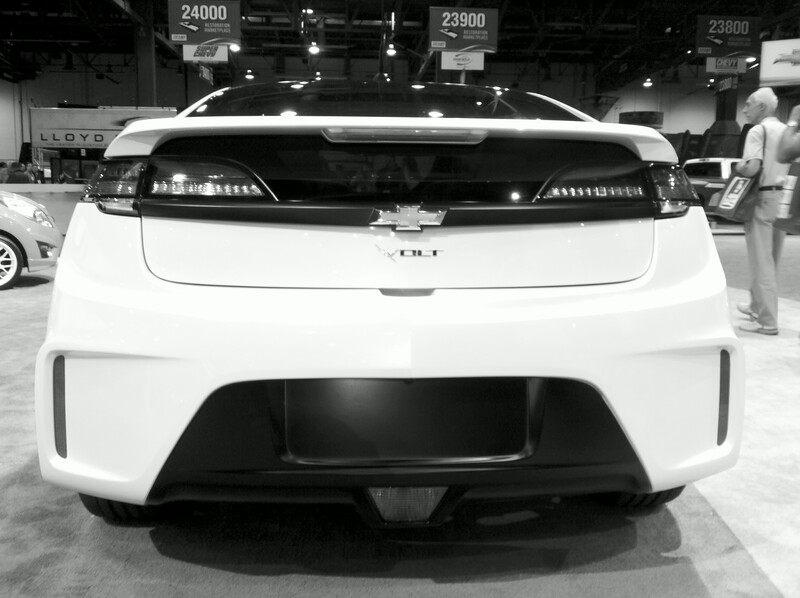 To join the conversation, just use the #Motorama hashtag and jump in! We’ll see you Wednesday nights on Motorama LIVE!